Our product range includes a wide range of suzani cotton kantha quilt and bird print designer cotton kantha quilt. 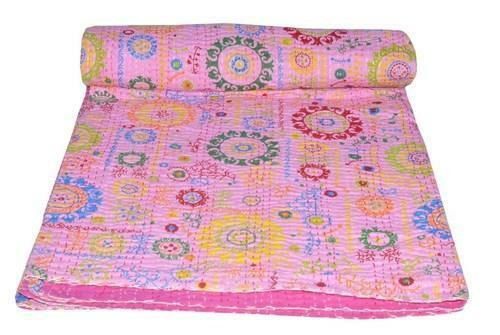 We offer a wide array of comfortable designer Kantha Quilts for our esteemed customers. These quilts are available in a pallet of soothing colours and designs and can be used in any kind of weather conditions. 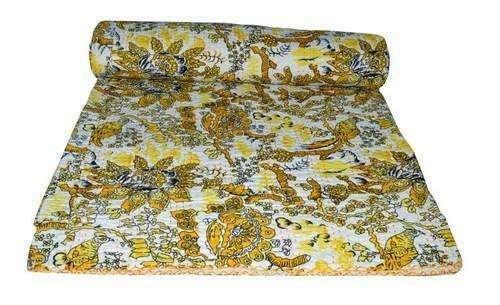 We offer a wide array of comfortable designer Bird Print Cotton Kantha Quilts for our esteemed customers. These quilts are available in a pallet of soothing colours and designs and can be used in any kind of weather conditions.